LIC-308 For Test & Measurement applications that require reliable, very low PIM RF cables. Durable, rugged, long metal protecting collars. Ideal for frequent use in laboratory, field and production, PIM<-165dBc, VSWR 1.25:1, DC – 3 GHz, standard lengths: 1m, 2m (other lengths available on request). LIC-SF141 For installations in antennas, panels, systems, combiners, point-of-interface DAS trays. 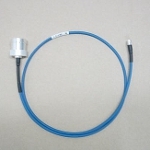 PIM<-150dBc, VSWR 1.3:1, DC – 3 GHz Standard cable lengths: 0.6m, 1m, 2m (other lengths available). LIC-SF250 For installations in antennas, panels, systems, combiners, point-of-interface DAS trays. 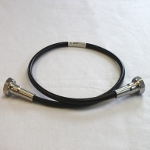 PIM<-150dBc, VSWR 1.3:1, DC – 3 GHz Standard cable lengths: 0.6m, 1m, 2m (other lengths available).